This weekend, Joe Bacal & the JT Gray team will once again be racing the Baja 1000 with their Lexus LX racer — earlier this month, Lexus Enthusiast contributor Tim Esterdahl spoke with Joe about the LX was built for off-road racing. Lexus is known for its quality and nobody probably knows that better than professional racer, Joe Bacal. 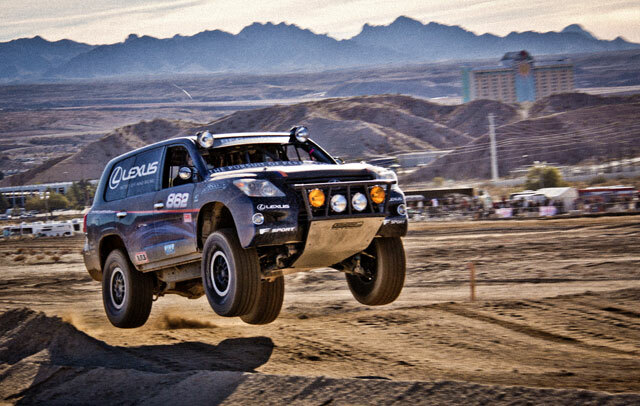 With his modified Lexus LX 570, Joe is a two-time class winner of the SCORE Baja 1000 Peninsula Run, along with 13 podium finishes, three SCORE Class Champion titles, and a Baja 500 class win. With another Baja race on the horizon, I asked Joe Bacal about his experience with the LX 570 and how it does against the competition. 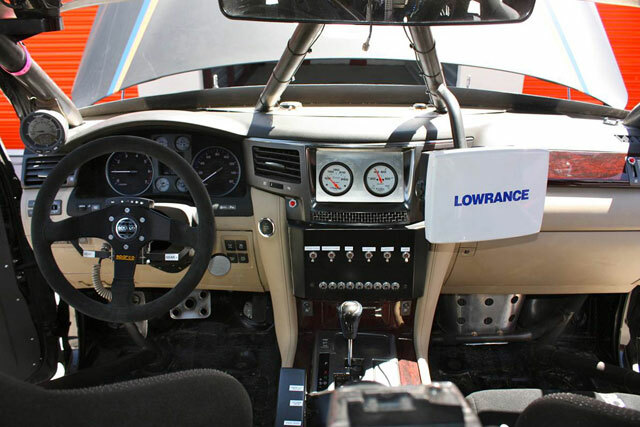 Tim Esterdahl: Often times, race vehicles strip out the entire interior to save weight and facilitate adding a roll cage — how much have you removed from the LX racer? Joe Bacal: The LX was stripped completely inside. The roll cage was built and ties in from the back to the front, and includes the suspension mounts. The interior wood dash and leather was re-installed to make it as clean and stock as possible. I use SPARCO seats, and this is the first LX to have paddle shifters. What fuel is the engine running? The same 92 Octane recommended for the standard Lexus LX. Has the engine been tuned or touched by TRD? The engine’s completely stock except for a custom air intake that relocates a larger air filter into the passenger side floor for dust protection. We also had TRD engineers remove 65 lbs. of wiring and sensors that were not needed. The original ECM computer was still used however to stay in the class rules. What add-ons or enhancements have been made? What can you tell me about the suspension setup and settings? What challenges have you had in terms of tuning the system? 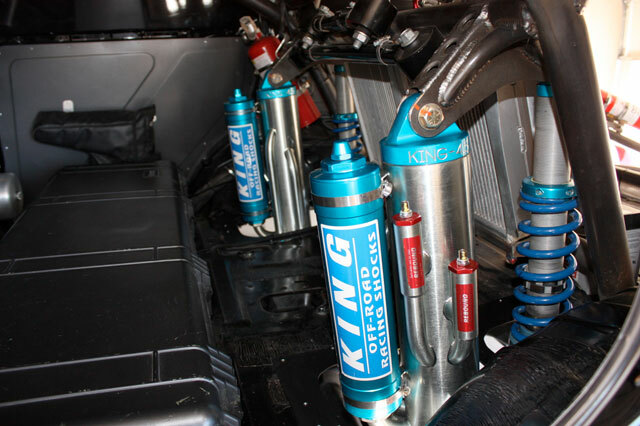 We utilize all stock suspension parts for instance upper and lower A-arms, bushing and the solid axle 5 link in the rear. All bushings are stock. The only change in suspension are the actual shocks. Has fuel economy been a problem or an issue you have had to work around? Not really. I get about 5 to 7 MPG and just have to pit every 100 to 150 mile stops for fuel. Have you had any electrical issues with it? We did when the vehicle was first built. LX went into “Limp Mode” for 3 races, which cost us the Championship last year. How does your race vehicle compare to other vehicles in the series? Are you faster, better able to handle curves or technical sections? What the relative strengths and weaknesses of this truck? We are a serious competitor. I think the Ford teams are all hard to beat, so every race anyone can win. One major strength for the LX 570 is the fulltime 4WD system, the center diff lock, and the rear air locker. I also think the suspension is a key advantage running the double wishbone front and 5 link rear for high speed rally type roads. What have you learned about Lexus and their development process as a result of this project? Are Lexus engineers out in the field taking readings and testing things? I think I am a little bias on this question. After being involved on many projects over the years and working and seeing the plants in Japan, Toyota has impressed me with the detailed precision that goes into each vehicle. Lexus Enthusiast contributor Tim Esterdahl lives in Denver, Co with his wife and kids. He writes about cars for many different sites, including Tundra Headquarters. He spends most of his days driving cars and trucks to golf courses, in the never ending pursuit to hit the little white ball straight.